Create a legally binding Florida Bill of Sale with our attorney-drafted template! What Is a Florida Bill of Sale? A Florida Bill of Sale is a document that legally transfers a person's ownership interest in an item to another person or business. Depending on the item, a Florida Bill of Sale must include certain information. However, any bill of sale used in Florida must contain the name and address of both the buyer and seller and the purchase price. It also needs to be signed by the seller and sometimes the buyer and seller. Some Florida Bills of Sale must be notarized. Some of the most common bills of sale used in Florida include those for transferring ownership in a motor vehicle, a boat, or a gun. However, a Florida Bill of Sale can also be used for the sale of general items, too. Although it wouldn't be required to register the sale of certain items with the State of Florida, a general bill of sale can be used to prove that the ownership of the item was transferred to another person if there is a dispute over it. How Do I Write a Florida Bill of Sale? How you write a Florida Bill of Sale will depend largely on the type of item that you're buying or selling. However, there are certain elements that you'll find in every Florida Bill of Sale. These elements include the name and address of the buyer and seller, certain descriptors of the item, the purchase price, the date of the sale, and a signature. Sometimes, the bill of sale will need to be signed only by the seller. There are some bills of sale that require the signature of both parties. Depending on what's being sold, you may also need to have the bill of sale notarized. Some people think that for a Florida Bill of Sale to be legal that it must include archaic writing and legal terms. This isn't true. You can write it in plain English as long as you remember to add all of the required elements. Under the next few questions, you'll learn more about the required elements for the most commonly used Florida Bills of Sale. Is a Florida Bill of Sale Required to Register a Motor Vehicle? Yes. You need a Florida Bill of Sale to register a motor vehicle in the State of Florida. When you're transferring the ownership of a motor vehicle must be notarized. A Florida Bill of Sale for a motor vehicle must include the year, make, model, body type, and color of the motor vehicle; the VIN; the printed name of the purchaser and their physical address; the price of the vehicle; the date of the sale; and completing an odometer reading that is written in whole miles and not tenths of a mile, includes the date the odometer reading was recorded, or an affidavit if you don't have a way to record the actual mileage or that you know the mileage is inaccurate. 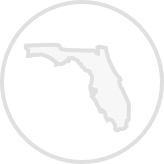 The seller's information is found at the bottom of the Florida Bill of Sale under a certification header. 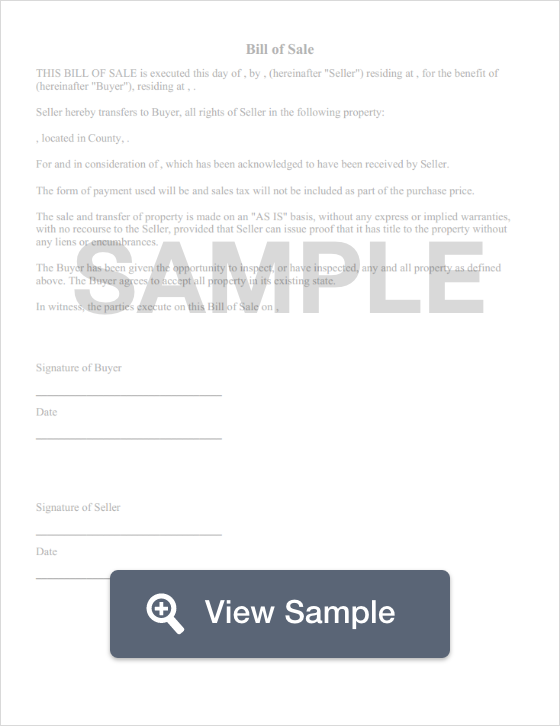 It includes the seller's printed name, physical address, their signature, and the date they signed the bill of sale. The buyer's printed name, physical address, signature, and date of signature will also go in this area. As stated earlier, the bill of sale must be notarized. In addition to a Florida Bill of Sale, you'll need to have some other things to register your motor vehicle. You'll need photo identification, the title that was completed by the seller, an odometer or mileage disclosure if the vehicle is less than ten years old, proof of car insurance, and a completed Application for Certification of Title With/Without Registration. In Florida, you can complete the motor vehicle registration process by visiting your local Florida DHSMV office. Remember that you'll need to have the full amount of money required to pay the registration fees and tax on the vehicle. Is a Florida Bill of Sale Required to Register a Boat? Yes. A Florida Bill of Sale is required to register a boat. Your boat must be registered within 30 days of purchasing it. The registration process takes place through the County Tax Collector's Office. To find the one you should use, visit the Florida Department of Revenue website and select your county under the heading "Tax Collector." A Florida Bill of Sale for boats must include certain things. The top part of the document must include the year, make or manufacturer, body type, model, and color of the boat; the vessel identification number; the purchase price; the date of the sale, and the printed name of the buyer along with their physical address. A Florida Bill of Sale must include a certification section that includes the seller's printed name, signature, date of the signature, and the seller's physical address; the buyer's printed name, signature, date of the signature, and the buyer's physical address. When you take the Florida Bill of Sale to the County Tax Collector's Office, you'll also need to take a vessel registration application. However, that form is currently not available online. You must obtain it from the County Tax Collector. You'll also need a Manufacturer's Certificate or Statement of Origin. When you register your boat, you'll also be required to pay all of the fees and tax associated with the process. Is a Bill of Sale Required to Register a Gun in Florida? No. There is no legal requirement to register a gun in the State of Florida provided that you meet the legal qualifications of owning a firearm. With that being said, a Florida Bill of Sale for a gun is still an important document that outlines the transfer of the gun's ownership. If you're 18 or older and meet the legal qualifications of owning a gun as defined by Form ATF 4473, you may legally purchase a rifle or a shotgun from an individual or a dealer. If you're 21 or older and meet the legal qualifications of owning a gun as defined by Form ATF 4473, you may legally purchase and own a handgun unless it is considered restricted (such as a sawed-off shotgun or a machine gun). Licensed firearm dealers will not allow you to pickup the gun until the third business day after you purchase it. This three-day period does not include weekends, holidays, or the day that you bought the gun. Some counties in Florida have a mandatory five day waiting period. There are exceptions to the waiting period if the purchaser holds a valid Florida State Concealed Weapons license. A Florida Bill of Sale for a gun should include the name, physical address, and driver's license number for both the buyer and the seller. It should also include the make, model, caliber, and serial number of the gun. The bill of sale should describe whether the price is based on a trade or a purchase. If it is based on a purchase price, the amount should be listed first in words and then in numbers. The document must include the date the payment for the gun was or will be made and when the document was created. If the gun is a gift, this should be specified that no money was given by the buyer. If there are payment negotiations that were made, you can describe those in the bill of sale. If the ownership interest is changing because of a trade, you should explain the conditions of the trade. A Florida Bill of Sale that documents the change in ownership interest of a gun must include both a buyer's and seller's disclosure. This must be read and signed by both parties in front of a notary. During the signing, both the buyer and the seller must include their printed name, their physical address, and it must also be signed by two witnesses. 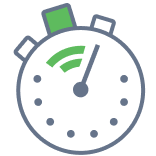 Create a free Florida Bill of Sale in minutes with our professional document builder.